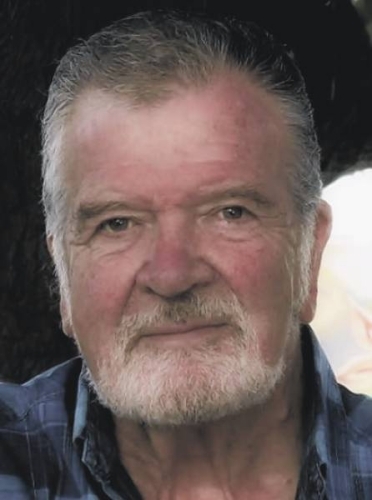 John McCarthy Notice: John McCarthy’s Obituary by the Hastings Observer. McCarthy John Michael Alfred Died 6th December 2018 aged 88 years at the Conquest Hospital. Born, Croydon, June 17th 1930, to William 'Mac' McCarthy, and Gladys Eleanor McCarthy nee; Crabbe. In 1948, after studying surveying at Stanley Technical College, John entered National Service as Sign. McCarthy 2207509 and boarded the SS. Orbita for Hong Kong. After being de-mobbed, John surveyed for The Ministry of Supply, played water-polo for Croydon, and pursued acting where he met his first wife, actress, Shirley Burniston (1932-1981). They had two children, Bridget Joanne (b. 1966), Gavin John (b. 1969). John later took over his fathers construction company, and in 1976 married his second wife, Carolyn Mary Morgan, gaining a step-son, Allister Morgan (b. 1967). John also had a younger brother, Brian. John's resumé lists 15 Television Plays, 18 films, 17 television films and 11 stage plays, plus a short stint as publican of The Seven Stars Inn in Robertsbridge. In 1986 John and Carolyn moved to Hastings/St Leonards where they welcomed five grandchildren; Christopher, Carolyn, Kate, Liam and Alice, plus great grandchild Beatrix. Funeral will take place 1:15pm at Hastings Crematorium, Friday 4th January 2019. Family flowers only. Donations to St Michael's Hospice via funeral directors Arthur C. Towner Ltd, 2-4 Norman Road, St Leonards-on-Sea TN37 6NH.